Windows 8 - Where is everything? If you're a superuser on Windows 7, you may feel a bit lost on Windows 8. Bob has enthusiastically been using Windows 8 for a few weeks now, and he recommends getting re-familiarized with the good 'ol keyboard shortcuts. These are the standard shortcuts that work across all Microsoft Windows platforms, such as Ctrl+P to print, etc. 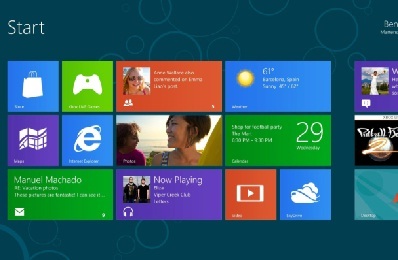 The new interface for Windows 8 marks a major change in how Windows has looked for over the past ten years. You can arrange your icons any way you want, and rest-assured, everything is still there. You may be confused at first when you look for "Documents", but don't worry, all your documents are still there. Ctrl+C, Ctrl+V: Copy and Paste - always useful! The people most familiar with Windows 7 may be the most lost, and beginners will probably be most comfortable with the graphical interface, but don't slow down! Start exploring, and tell us what you think! It's Here! Windows 8 (Beta, at least) - Take a Look! The Microsoft Windows 8 consumer preview was released yesterday and the initial reviews look good. You can download the beta release at the Microsoft Web site, or just get a tour. ZDNet's Ed Bott has been testing Windows 8 on a tablet and calls it "the most important software release in almost two decades." In general, the tech reviews have been very positive. If we look back at past Windows releases, Windows 95 was a huge event, Windows XP had long term staying power, Windows Vista was a disaster, and Windows 7 sparked a major refresh cycle for PCs. 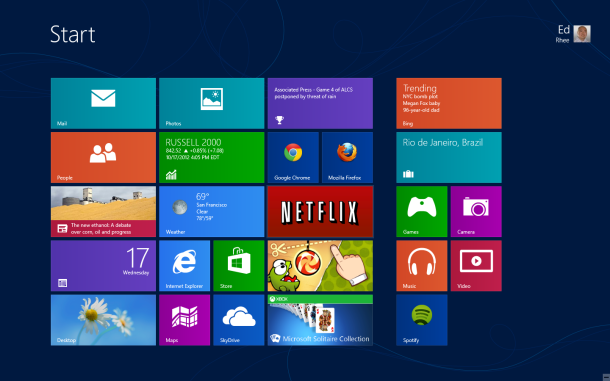 Windows 8 now hopes to bridge the gap and unify desktop and tablet computing. You'll be able to touch, swipe and zoom. You'll be able to purchase Apps from the Microsoft Store, and you'll be able to access your files, photos, and music from wherever you sign in. There's no more "Start" button and everything looks pretty different! Check Ed Bott's post on ZDNet for a tutorial on how it all works. It all looks very cool, but time will tell if it's just "too different" for folks, or if the market wants to hang onto Windows7 for a lot longer. Possibly it will wind up being a lot more about mobile than the PC. Read more on CNET. Have you checked out Windows 8? Tell us what you think!